Cisco VoIP is a voice over internet protocol (VoIP) program that helps businesses operate their phone systems. Its features include intelligent session control, unlimited long distance calling, mobile voice access, and desktop call pickup among others. In this article, we cover user reviews. Ready to get started with Cisco VoIP? Visit their website. 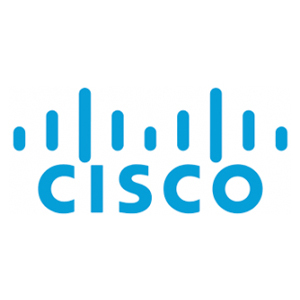 Users who gave Cisco VoIP a positive review commended the software for its high-quality calls. They also like that the software functions consistently without any delay. One user who gave Cisco VoIP a positive review on Capterra said that he has been using it for almost ten years and finds the software’s stability to be unrivaled. He added that since his company started using it, their voice environment uptime has been consistently at 99.99%, only dropping for maintenance and security updates. Users who gave Cisco VoIP a negative review said that the software is difficult to use and can be overwhelming at times. They also complained that its yearly support pricing is too expensive. One user who gave Cisco VoIP a negative review on Capterra mentioned that her company has been struggling with the software, adding that they often end up confusing their phone lines. She commented that its interface is not intuitive at all. Cisco VoIP’s services are sold through resellers and their pricing plans are not declared on their website. As per on our research on their resellers, rates usually range from $1,295 to $3,295 per month based on the number of devices and features included. Ready to get started with Cisco VoIP? Visit their website. 6 Best Small Business VoIP Phone Service Providers for 2019 — Voice-over-internet-protocol (VoIP) phone services are internet-based alternatives to traditional landline phones, with features like auto-attendants, voicemail, and customer relationship management integration. In this guide, we compared the best VoIP programs in terms of pricing and features offered among others. What equipment is needed to use Cisco VoIP? The software only needs two things in order to work: a broadband internet connection and a VoIP-enabled phone. Can I take long distance calls with Cisco VoIP? Yes, you can. Cisco VoIP allows users to conduct unlimited long distance calling without any added charges. Not sure if Cisco VoIP is the right fit for you? Read our reviews of all top VoIP software providers.